Brian Mulligan's self-help guide helps people relieve back pain, neck pain and pain in the extremities through exercise and specialized techniques. 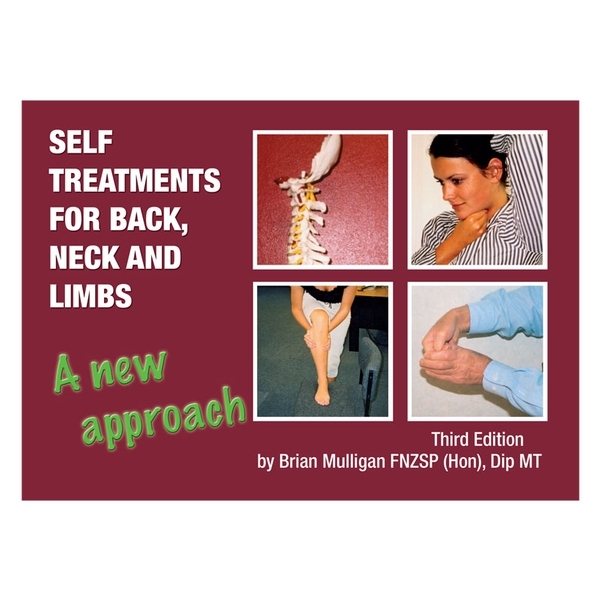 This self-help guide is designed to help the patient gain independence by learning concepts and techniques including posture, self-snag, exercises and the pain release phenomenon. Written by Brian Mulligan, FNZSP, Dip MT. Illustrated. Softcover; 120 pages.